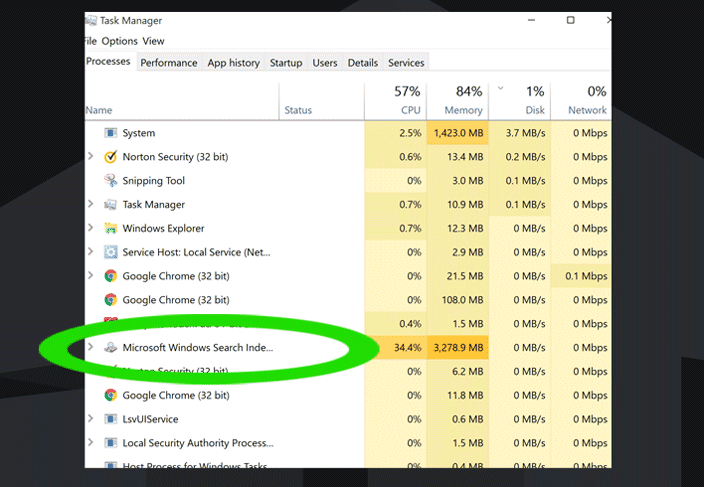 This article will help you to fix a search indexing problems on Windows 8.1/10 that actually takes too much CPU load, like Search Protocol Host and Search Filter Host. This is a problem that seems come in to Windows 8.1 and 10. At first, make sure you really have some problems with CPU load. 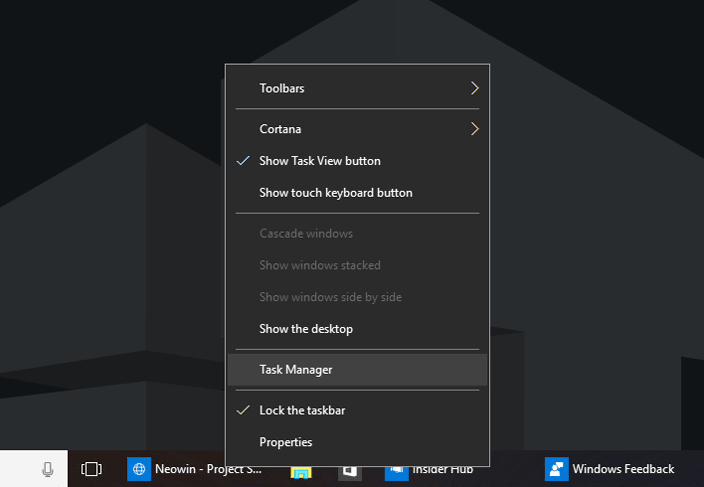 Go down to Taskbar, right click on it, run and look at your Task Manager (or just press Ctrl + Shift + Esc).. If your CPU load is high, check if the Windows 10 processes Microsoft Search Protocol Host (SearchProtocolHost.exe executable), Microsoft Search Filter Host (SearchFilterHost.exe) or Microsoft Windows Search Indexer (SearchIndexer.exe) are high level load. As you can see, in this case the Microsoft Windows Search Indexer process uses more than 30% of the CPU and 3.2 GB of RAM (in normal mode, this process rarely uses more than 3% of the CPU and 100 MB of memory). If they are – you have this issues too. So How to fix Search Filter Host and Indexer High CPU Load Problem? 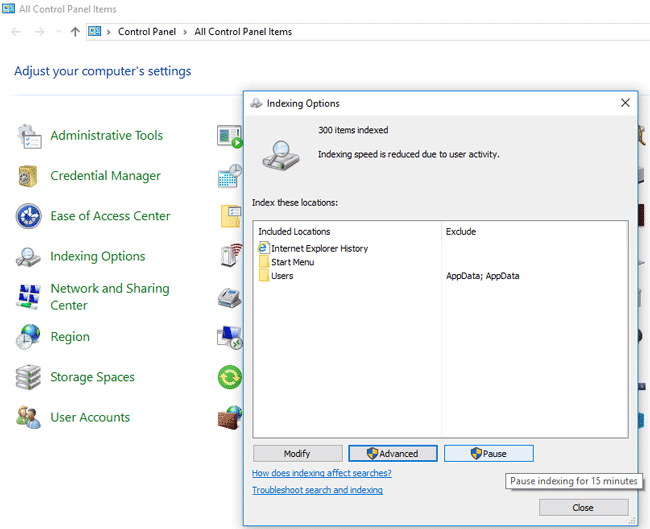 Processes Microsoft Windows Search Filter Host and Microsoft Windows Search Indexer are designed to simplify the search for information on the local drives. These processes are a part of the Windows Search service and responsible for scanning the file system. All the information found is saved to the special database (index DB). The following elements are indexed: the name and path of files, the time of creation, key phrases (if this document, text file or html-page), the document properties and other data. 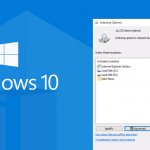 When you perform a search from the Start Menu, Taskbar or Cortana in Windows 10, the operating system doesn’t search the entire drive, but refers to a structured index database. Those, the search results are returned to the user much faster. High CPU and memory usage by indexing processes indicates that at this moment the indexing service is working intensively on gathering information and rebuilding the search index. Try to wait 20-30 minutes until the indexing process is completed. 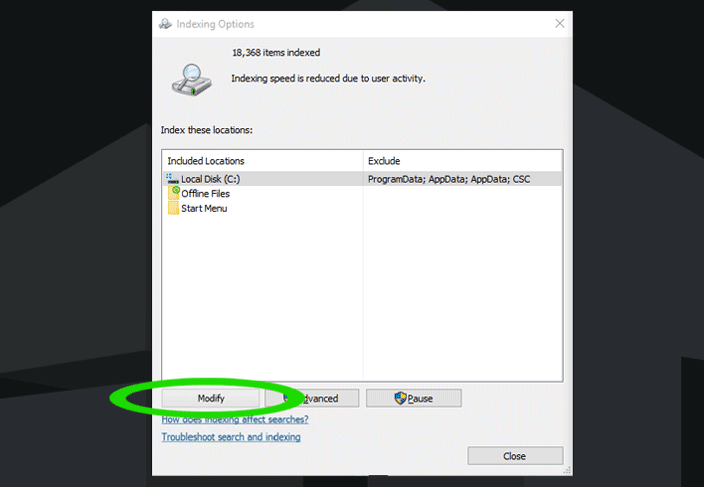 If you want to quickly reduce the load of your computer, you can terminate the process and stop the Windows Search service (it’s safe). 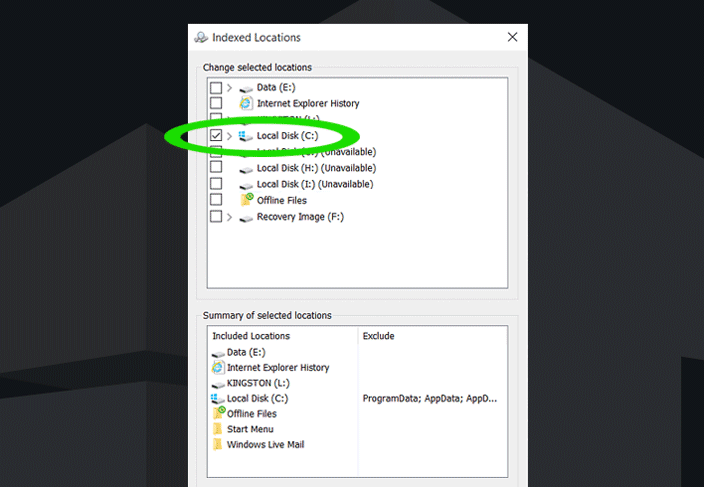 If you don’t use the search features in Windows 10, you can completely disable the launch of the service. 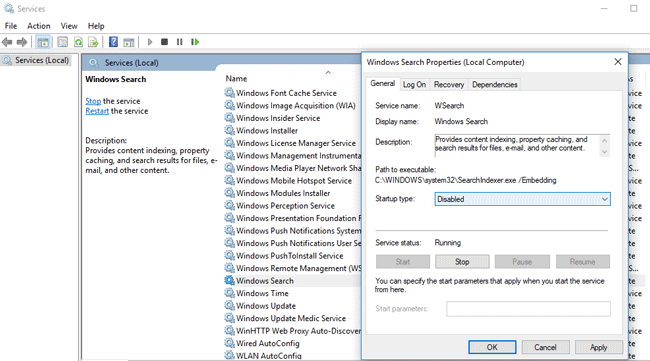 Open the service management console (services.msc) and look for the Windows Search service. Stop it and change the startup type to Disabled. Click the Start button => go into Control Panel. Make sure that you are in Icon view, not Category. The first thing you need to do is to modify what are the indexing will check at. Remove all the check marks except OS (C:) drive and click OK.
Then go to Advanced indexing options and click Rebuild index button. Rebuilding the index might take a long time to complete. Some view and search results might be incomplete until rebuilding is finished. 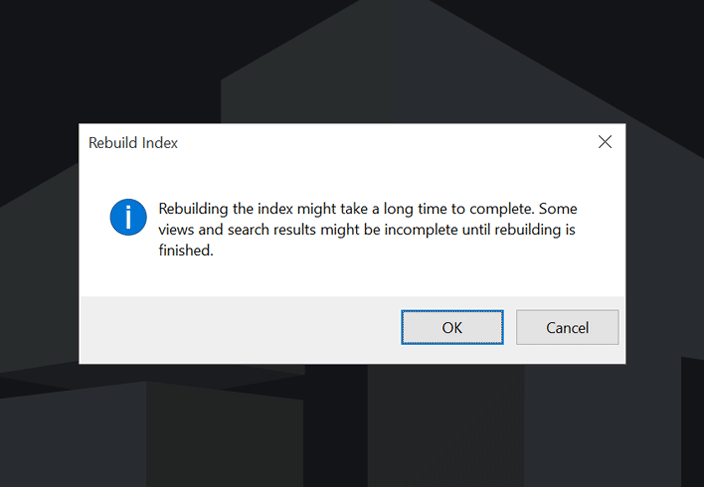 What it does is at the top of the Indexing options window your indexing will go from whatever number it is to zero and it’s going to start building index again. Click Close. Once you do that after a few seconds you need to look at your Task manager again and notice that Search Protocol Host and Search Filter Host processes are taking much lower CPU load now. 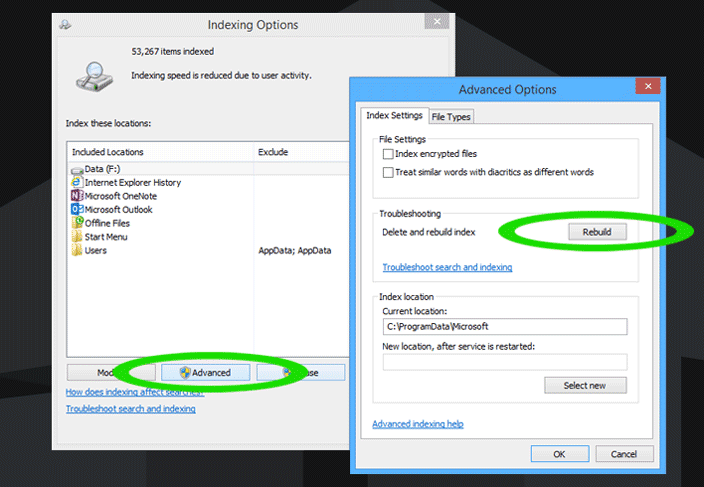 You can temporarily stop the system indexing by suspending the Windows Search service for 15 minutes. 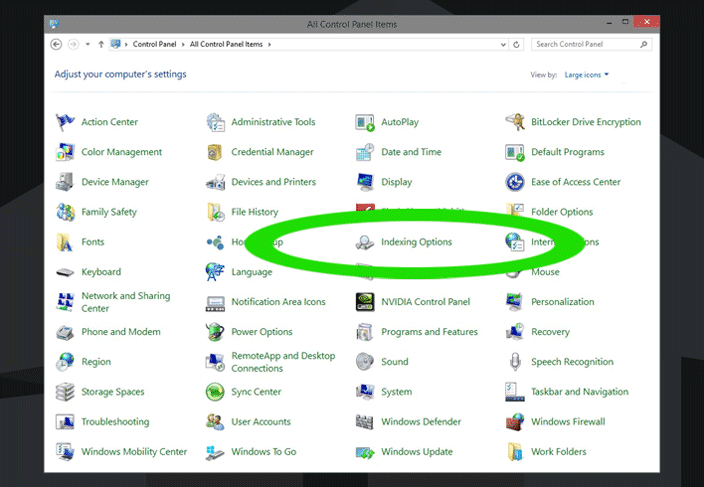 Go to Control Panel > Indexing Options and press Pause button. This can be done if the SearchFilterHost process prevents you from working, but you do not want to completely disable indexing services. 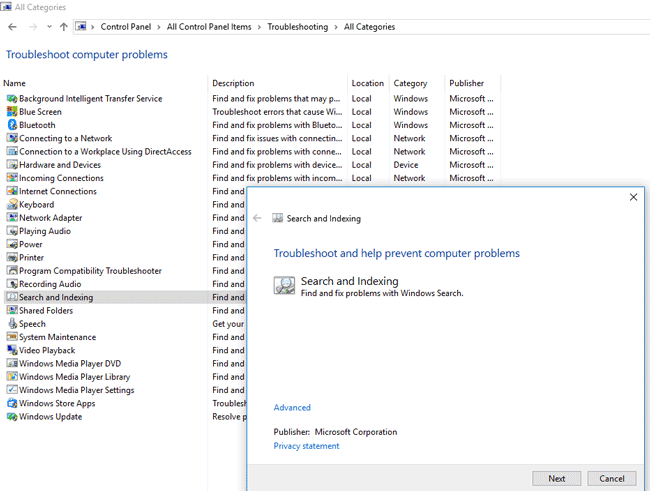 If these methods didn’t help you to fix the problem with the indexing service, start Windows 10 Troubleshooter from Control Panel > Troubleshooting > View all > Search and Indexing and just follow the wizard’s instructions. The reasons to this issue are various, including bad drivers, many apps running in the background… The high CPU in my computer was caused by the drivers. After I used Driver Talent fix the driver, this performance improved.